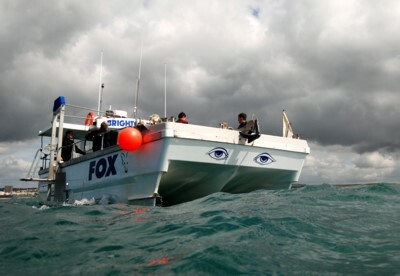 Looking for a sea fishing or Diving charter or boat trip from Brighton Marina.We offer fishing trips in Brighton, boat trips brighton, Deep sea wreck Fishing or diving the hundreds of wrecks and reefs all shapes and sizes providing a safe haven for fish in the English channel you have come to the right boat. 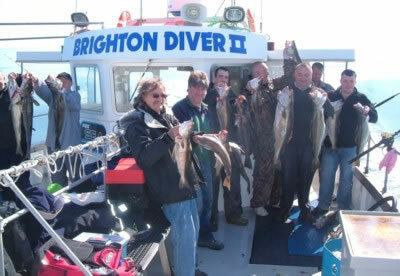 Brighton diver has massive deck that can accommodate 12 divers or anglers in comfort. 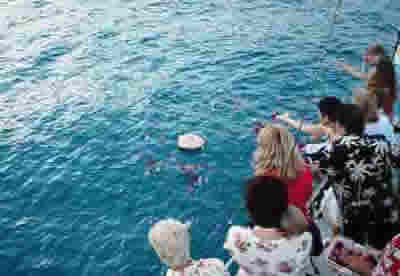 If you would like to charter the boat or just come along on your own. 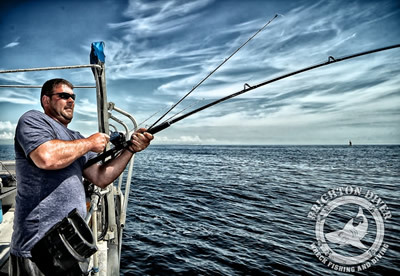 We offer Individual fishing and Diving trips for the experienced and novice angler/diver and are always willing to help improve your skills. 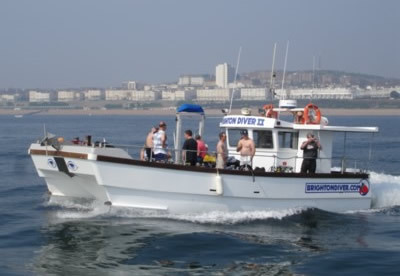 Brighton Diver is a Fast very stable 33ft Blyth catamaran with 700hp and over 90ft of fishing rail . There is a large bench that can accommodate 12 divers or anglers equipment and seating. 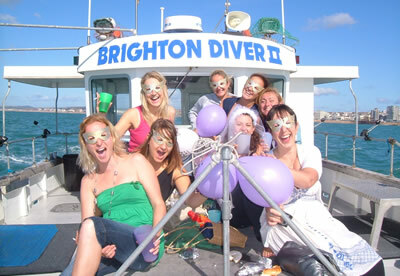 Brighton diver is fitted with full diver lift which makes easy entry and exit to the water. Brighton diver one of the Top charter boats on the south coast is Sponsored by Daiwa sports.and is regularly seen on Sky Sports Tight lines show .We have had many of the UK top anglers on the boat inc Keith Arthur, Alan Yates, Matt Hayes, Nigel Botherway ,Bob Nudd, Ian”Chilly”Chillcott,Ian Welch,and Top Chef Marco piere white.